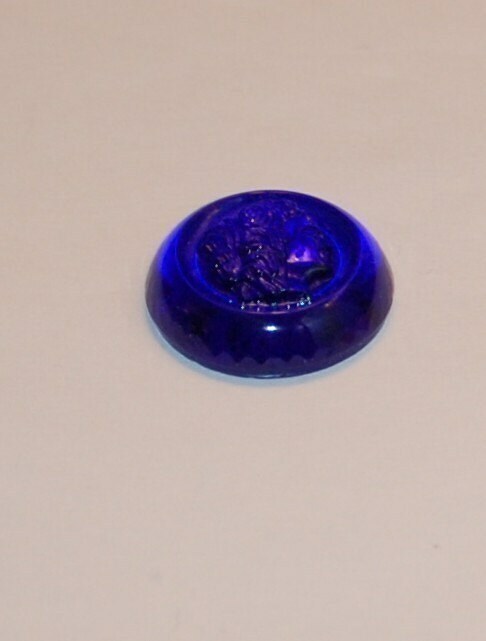 The blue color of this glass cameo is beautiful. This is quality vintage glass from Germany. These are thick pieces with a woman's profile adorning the top. This measures 22mm x 5mm thick. You will receive one of these. My pictures do not do this piece justice. Held to the light it is very yummy indeed! 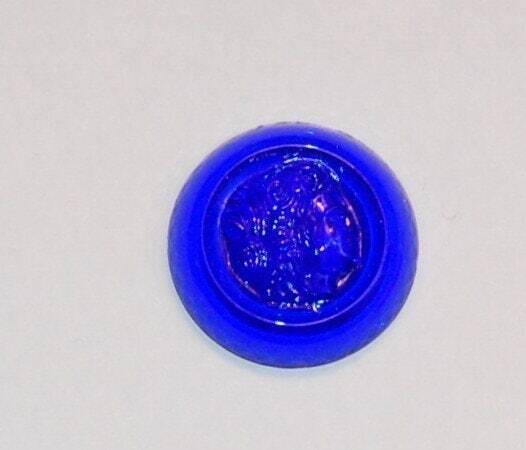 Thank you for this beautiful bead. I appreciate the speedy delivery in a carefully wrapped package. This is amazing. Such a striking color!